A tragic incident occurred at the 3000 block of NW 54th Street in Miami-Dade County that resulted in the death of a young man. A driver reportedly flipped his vehicle onto the sidewalk sliding on its roof and colliding with a pedestrian. The pedestrian died as a result of this collision. Police investigating the accident suspected alcohol may have been a contributing factor. 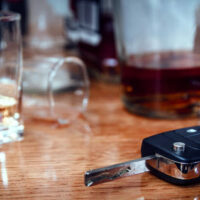 The negligent driver claimed he only had “two or three” beers the evening of the accident. However, a blood test was conducted and it showed his blood alcohol was .156, and that was some time after the incident, according to CBS Miami. The negligent driver is facing myriad criminal charges, including vehicular homicide, manslaughter while driving under the influence, DUI damage to property or person and reckless driving with damage to property or person, according to the aforementioned CBS Miami article. Deepest sympathies go out to the family and friends of the victim. It is frustrating to accept the fact that an innocent pedestrian simply walking on a sidewalk can have their life taken from them by a careless, intoxicated driver. If you lost a loved one in a preventable accident caused by the carelessness of another driver, you should speak to an experienced Miami wrongful death lawyer to discuss your legal options. The thought of filing a lawsuit and going to court may feel overwhelming and intimidating. That is why hiring an attorney makes sense. They can take the burden off of you by filing all of the necessary documents and legal filings and negotiate with the claims adjuster for the negligent driver’s auto insurance company. In wrongful death claims, you can pursue financial restitution for the lost earnings of your loved one, the loss of companionship, and the loss of guidance and mentorship (if the decedent had children), and you may be able to pursue a unique form of damages known as “punitive” damages. Unlike economic and non-economic damages (which are comprised of medical bills, lost earnings, pain and suffering, etc. ), punitive damages are meant to punish the negligent driver. In most personal injury cases, a plaintiff is unable to pursue punitive damages because there must be evidence of gross negligence, recklessness, and/or malice. An auto accident involving ordinary negligence does not meet the threshold necessary to pursue punitive damages. There must be evidence of egregious conduct. In the context of a wrongful death car accident caused by a drunk driver, it may be possible to pursue punitive damages based on gross negligence. This is where the defendant’s conduct was reckless constituting a conscious disregard or indifference to the safety, life, or rights of the victim(s). Even if punitive damages can be pursued, the Florida legislature placed a statutory cap on punitive damage awards. Under Florida law, a punitive damage award may not exceed three times the amount of the award of compensatory damages or half a million dollars, whichever is higher. For example, if a jury awards you $400,000 in compensatory damages, then you could potentially pursue $1.2 million in punitive damages since it is three times the amount of the award of compensatory damages. The legal team at the Miami office of Alan Goldfarb, P.A., is here to help you through this tough time. We are an AV-rated law firm and we are listed among the Top 100 Lawyers in the state. Contact our office today to schedule a free consultation.